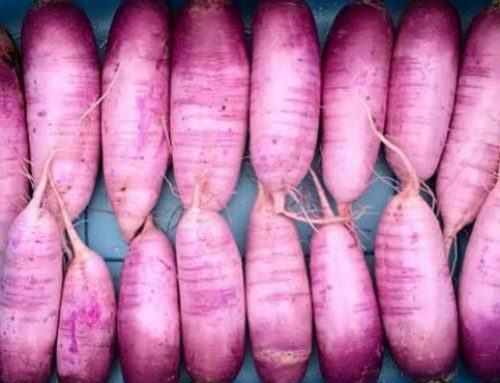 We admit it: we love “rabbit food,” as veggie-averse folks often refer to lettuce. Human food: we love big piles of mixed green salads with lots of lettuces mixed in. Extra virgin olive oil, sea salt, and nutritional yeast are the only other ingredients you need to make a killer salad. Throughout spring, fall, and winter, we eat piles of fresh salads, which almost invariably include lettuce greens from our organic garden. In our area (Ag Zone 7B), lettuce goes to seed by June and doesn’t much care for our extremely hot, humid summers. We’ve notice that many gardeners who grow lettuce, don’t get nearly the production from their lettuce beds as they could. We’ve learned a lot about growing organic lettuce over the years, so we want to share our top lettuce growing tricks with you so you can drastically increase your lettuce harvests. Varieties of heirloom, open-pollinated lettuces in various stages of their life cycle. 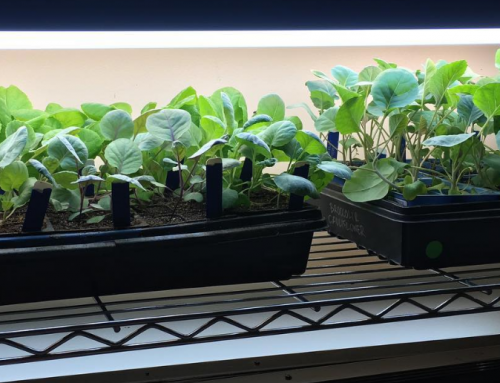 Left: beginning to form flowers/seeds / Center: mature head of leaf lettuce / Right: dense bed of lettuce ready to be thinned out, leaving behind the most vigorous plants. These tips are not intended to rehash growing instructions you can find on a seed packet. They’re here to help you grow piles of ridiculously healthy, beautiful, vigorous lettuce. We grow lettuce using organic/permaculture methods in no-till garden beds. 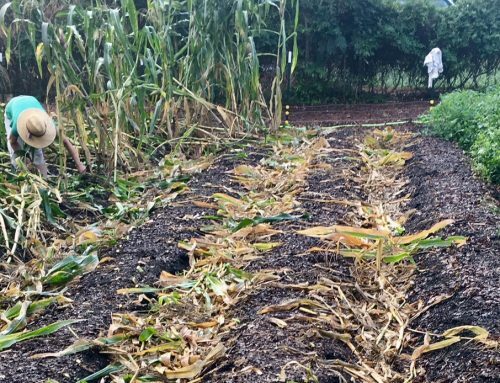 We start by pulling back the surface mulch and sowing our seeds densely, scattering them on the soil surface like you would sprinkle pepper on the surface of your food. Then we water in the seeds to make sure they have good seed-to-soil contact and the moisture they need to trigger germination. (If your beds are lacking fertility/biology, now is a great time to top-dress them with 2″ of compost or worm castings, sowing your seeds into the surface of the amendment. 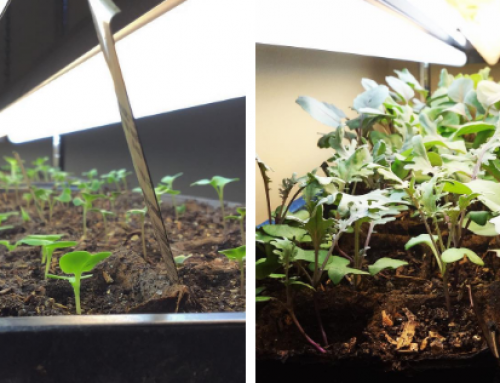 Within weeks, we’re harvesting microgreens and baby greens. We continue to get a continual harvest of greens for several months after, thinning out the smaller plants as we go to make room for the most robust plants. At the end, we have a bed full of large mature heads of lettuce, some of which we leave to produce seed, some of which we harvest. Head (or Bibb) Lettuce – Produces loose heads of soft, folded leaves. Iceberg Lettuce – Produces a tight head of crisp, watery leaves. 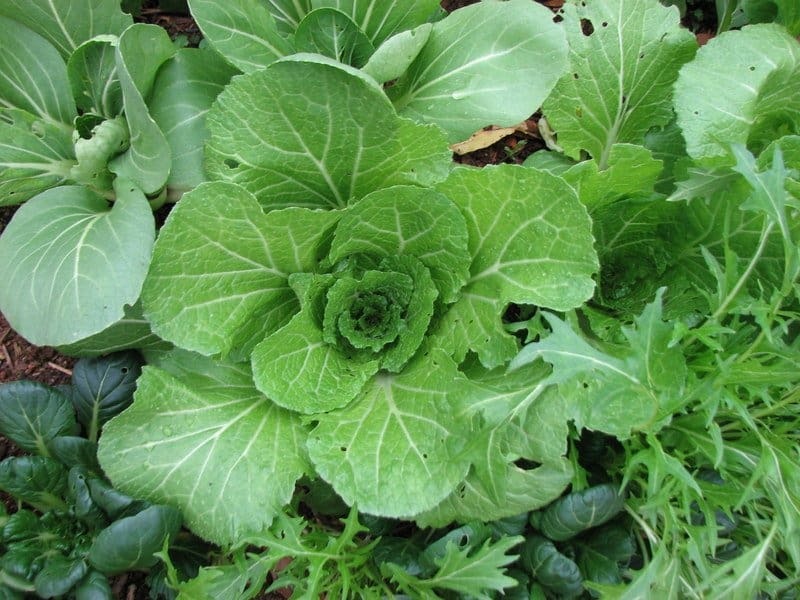 Leaf Lettuce – Produces loose leaves (not heads) that can be harvested when very young. Romaine Lettuce – Produces a tall crisp head with ribbed leaves. You may not have known that lettuce varieties which form heads can produce a few flushes of leaves IF you don’t cut the crown too low when harvesting from the mature head. However, if you cut the plant at the ground or cut too deeply into its crown, you will kill the plant. Instead, when harvesting lettuce types like Romaine of Head lettuce, don’t cut the entire plant out of the ground. Leave a few inches of leaf/crown on the plant and it will produce new leaves within a couple of weeks. Depending on the variety and the vigor of the plant, you should be able to get 2-3 additional harvests from the plant. Note that each successive harvest will be smaller than the previous harvest. Here’s a really helpful visual guide to show you exactly what this looks like in an in-ground lettuce plant. 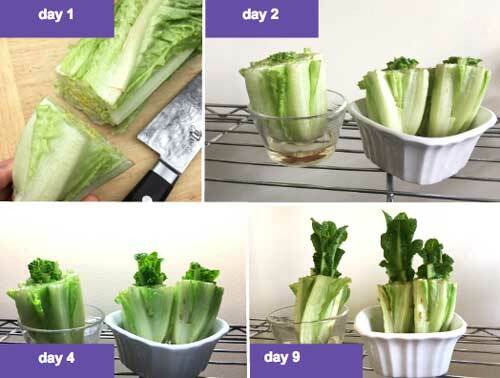 A progression showing 9 days of growth on a head of Romaine lettuce cut and placed in a bowl with some water. Lettuce in the ground will regrow more vigorously since it has a large, established root system. For leaf lettuce varieties, don’t harvest the entire plant all at once. Rather, harvest the outside leaves only, allowing the smaller center leaves to mature and the plant to continue producing more leaves for future harvests. What does it mean to “grow organically”? Be ecologically sensible. Don’t use synthetic fertilizers and pesticides. Start your garden with USDA certified organic seeds, not conventional seeds (ready why here). If you have to use a pesticide, use an OMRI listed, organic pesticide (which are almost always either: a) plant-derived, b) living cultures of beneficial bacteria, or c) live predatory insects or microbes). Instead of chemical fertilizers, promote good biologically active soil using methods such as no-till, mulch, cover crops, hot compost, worm castings (which you can buy here), etc..
A beautiful heirloom/open-pollinated leaf lettuce grown in our no-till organic garden. This made a lovely Instagram photo, but we could have just harvested the outer leaves and left the plant in the ground to continue to produce more. This helps you grow healthier, more nutrient-dense plants and sets you up for something else… producing incredibly vigorous seeds. Lettuce flowers are positively gorgeous. As the weather warms, the plants send up tall flower stalks that are covered with flowers like this one. Instead of harvesting your healthiest, most gorgeous lettuce plants, leave them to make whoopee time in your garden, then save their seeds. As we explain here, inside each seed, the parent plants will pass on epigenetic information to their offspring allowing them to grow better in your specific conditions (climate, pests, soil, etc.). 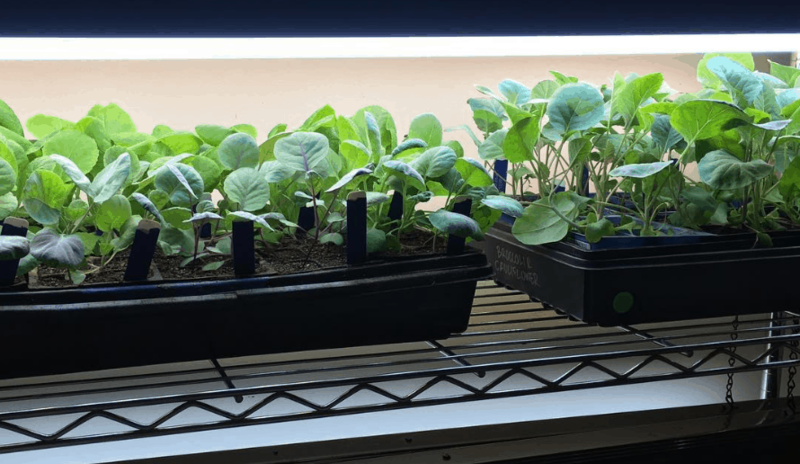 The better you can get at seed breeding and the more generations you can save your lettuce seeds, the better off your plants will be (you can also breed for your favorite colors, flavors, textures, etc.). A great book for the home gardener who wants to become an expert seed breeder/saver, is The Seed Garden or you can check out some our other faves in the seed breeding book section of our store. If you have any questions, please ask in the comments below. Otherwise, get out there and grow some organic lettuce (and seeds)!